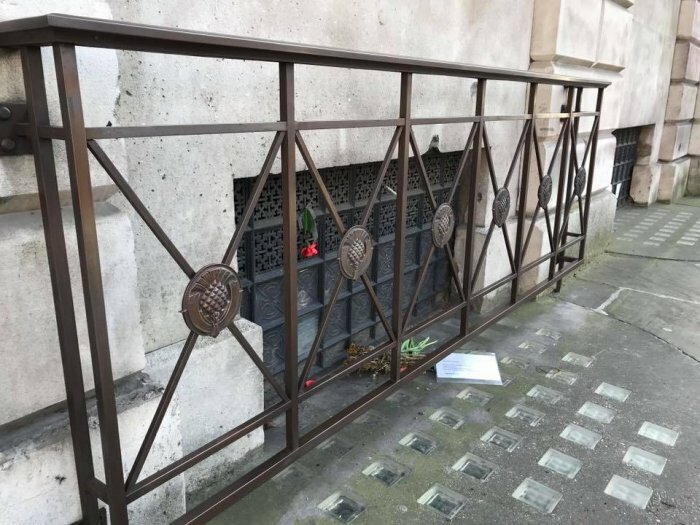 The Smithfield memorial on the wall of St Bartholomew's Hospital was starting to look its age, the railings in particular had become discoloured, some railings had broken and two of the distinctive thistle medallions had gone. 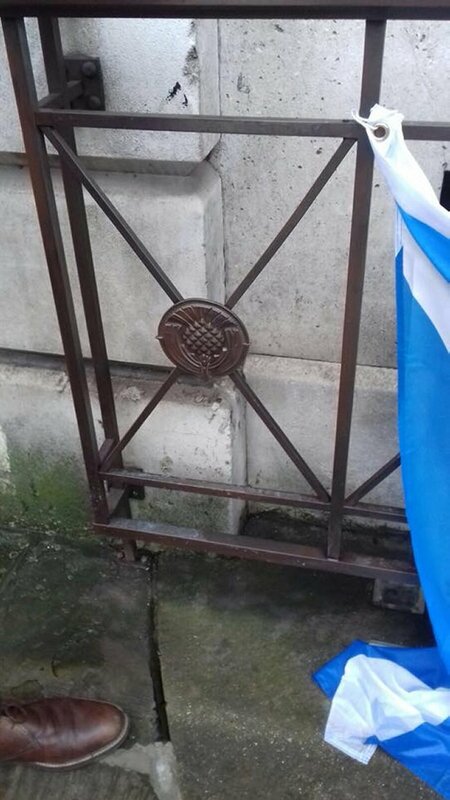 The Society of William Wallace are proud to confirm that the two missing thistles and broken railings have now been replaced, repaired and the whole of the railings taken back to their original colour. 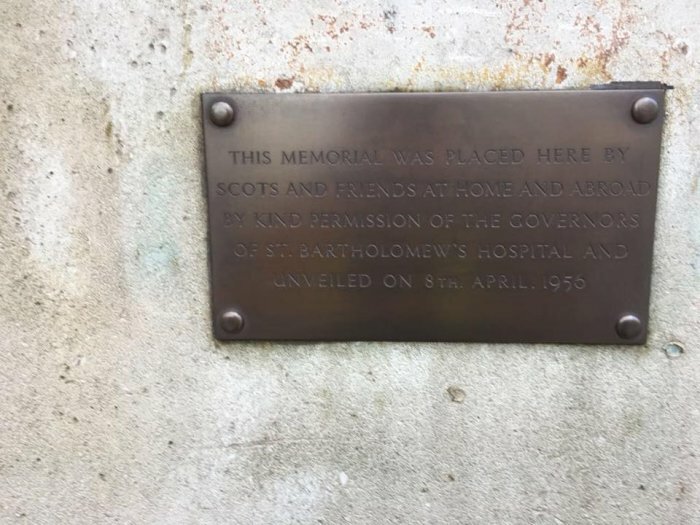 London City Council were aware of the monument as were St Barts Hospital, English Heritage and the Scottish Government; but no one was taking any responsibility. So the decision was made that the SOWW would take on the task. 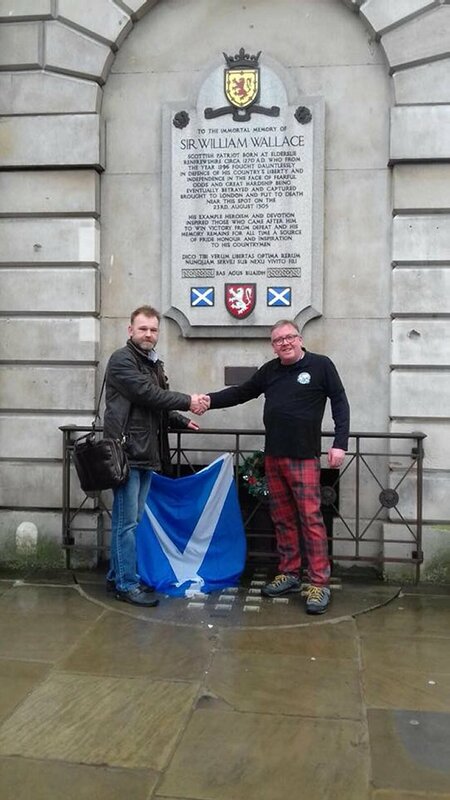 We eventually managed to scrape together the funding from our Society of William Wallace funds, and other kind donations from the TAMB (Tartan Army Message Board) and Lunnainn Albannaich (Loony Alba - http://www.loonyalba.com - the London Tartan Army). 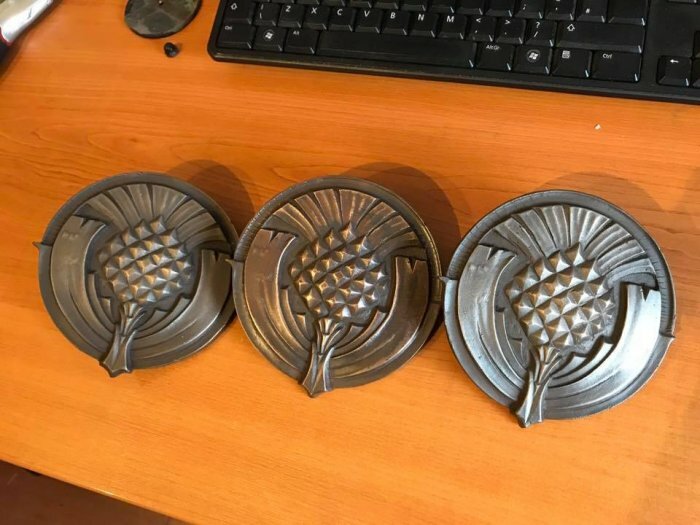 We were fortunate that we managed to get in contact with Jim McLean who wrote the Song 'The Wallace' and he put us in touch with his son Iain McLean, who owns Antique Bronze Ltd and it was Iain who did the work for us. 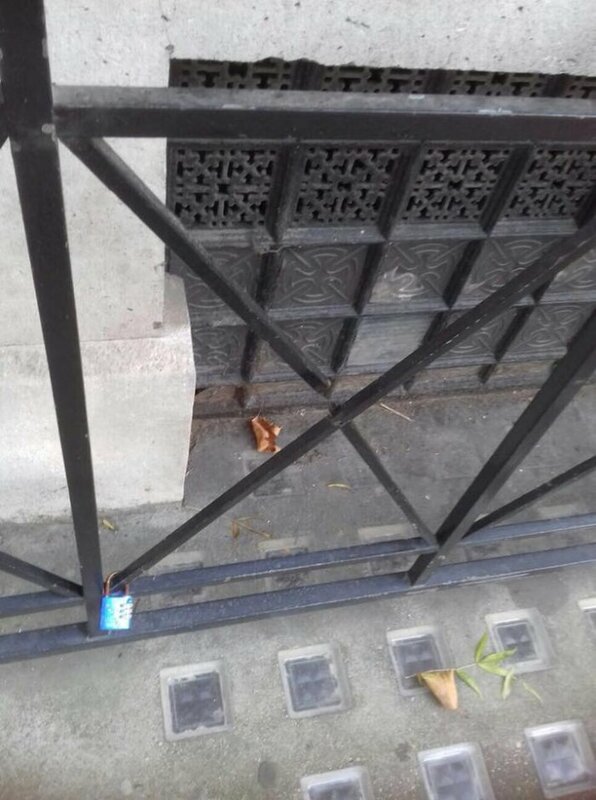 A big thank you to Iain for doing a wonderful job, and Cha Halliday and Sean Donnelly for bringing this to our attention - but the biggest thanks go to Scott Kelly for his tremendous hard work in bringing everyone together and getting the job done.